Washington: US President Donald Trump is again breaking diplomatic norms in backing Israel’s capture and annexation of the Golan Heights, with experts warning that he risks justifying expansionism by other countries. 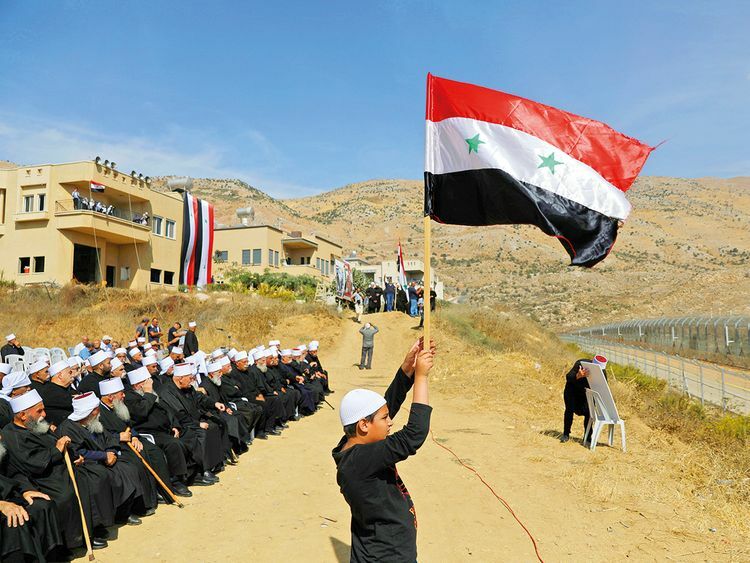 The Israeli regime captured the Golan from Syria in the Six-Day War of 1967 and annexed it in 1981, but until now, the international community has not accepted the move, hoping the territory could serve as a bargaining chip in a future peace deal between the countries. But Trump on Thursday turned to Twitter for the abrupt diplomatic turnaround, saying that after 52 years, “it is time for the United States to fully recognise” Israeli sovereignty. The move - which came as Trump’s ally, Prime Minister Benjamin Netanyahu, faces elections - has caused dismay even among US allies, with France and Britain both saying that they still considered the Golan Heights to be “occupied” by Israel. It is not the first time that the real-estate mogul turned president has brazenly dismissed international conventions. In December 2017, he recognised occupied Jerusalem as Israel’s capital, fulfilling a major goal for the Zionist state. Steven Cook, an expert on the Middle East at the Council on Foreign Relations, in an article in Foreign Policy questioned the need to shake up the status quo, saying that US recognition only triggered fresh opposition to the Israeli regime’s longstanding control of the Golan, where 20,000 colonists live.